There are many situations in which make you want to repurpose your house for rental property. You may need to move after marrying a native person while you already own a house and hesitate to sell it. Or, you seriously think about having a second income and are interested in the rental property. In order to prepare your house as generating money tool, you should pay attention to two aspects including physical and financial. Permit’s requirements for rental property can be different based on the local policy. You are obliged to get permit, so you can use your house as rental property. Beside it won’t cost much, this permit is needed for safety purposes. When you apply for rental permits, the local police will visit your house and check anything that can cause safety risks. You should make sure that the house has proper heating system, fine electrical, as well as adequate access to outdoor. You may don’t take serious about property insurance if you occupy the house yourself. However, it’s all different when you rent it. Because each time someone gets hurt in your house, you will have to take some degree of responsibility. That’s why insurance is really fundamental if you consider to repurpose it as rental property. Say if a tree falls and damages the house along with its resident or a gas leak that would cause an explosion. Even though you are not the one who is fault, you still have to take some concern. Also, you should think about reparation to make it decent for living in. Those possibilities can really cause headache if you don’t own an insurance. 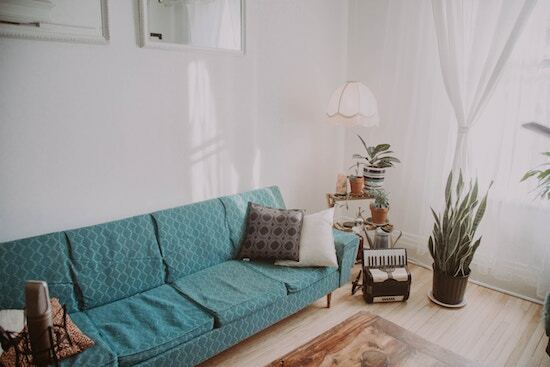 In order to attract people to rent your house, you will absolutely need to do some polish measures to your house like re-painting, replacing outdated facilities and some renovations. Those upgrades will definitely add value to your house, so it can compete with other rental property. Even if you need to do some renovations, try not too overboard because it will affect the rental rate. In matter of deciding the rental cost, you should include all expenses to prepare your house as rental property including permits, insurance, renovations cost as well as maintenance during tenancy. However, you shouldn’t exaggerate with all those expenses. Instead of gaining all costs back in short time, you should consider it in long term. After you have a picture of your rental rate, make sure it isn’t too expensive comparing to other around your location. Before actually renting your house, you should understand the law and policy about rental property especially Fair Housing Laws. When you have prospective tenant, it’s better to check on their credit flows to make sure there will be no arrearages in the future. If you talk to experienced landlords, you will find that there’s always problem with tenant whether it’s minor or major ones. It’s really challenging to discern if the prospective renter will actually be a good renter or not. Depending on intuition often gives you false alarm, so don’t be too attached to it. After you have your renter, you will need an attorney to help you designing your own contract and application. But, if you won’t do such tiring legal procedure, there’s always another simpler option like property management group. This option will work most effectively if you live far away from the rental property. They will not only take care of the paperwork, but they also handle the rental collection as well as maintenance if needed. You don’t have to be worried to face the renter since they will also communicate with them directly.